"The human adventure is just beginning." A Starfleet monitor station detects an alien presence within a massive energy cloud headed for Earth, destroying three Klingon warships and the station on the way. Back on Earth, the Enterprise is being refitted and Kirk is now Admiral. With only the Enterprise in range, Starfleet sends the ship to examine the entity. However, the time crunch means that the ship's new systems need to be tested as they go. Kirk overrides Captain Decker's command of the ship. Tests go badly, costing the lives of an ensign and the science officer; improper calibration of the engines almost destroys the vessel itself. Tensions continue to flare between Kirk and Decker when Kirk doesn't understand the new systems. Spock appears as replacement science officer, remarking that he sensed emotion from the entity. The Enterprise encounters the entity but is struck by an alien ship inside. A probe manifests on the bridge, strikes Spock, and kidnaps Ilia, the navigation officer, replacing her with a robotic double. 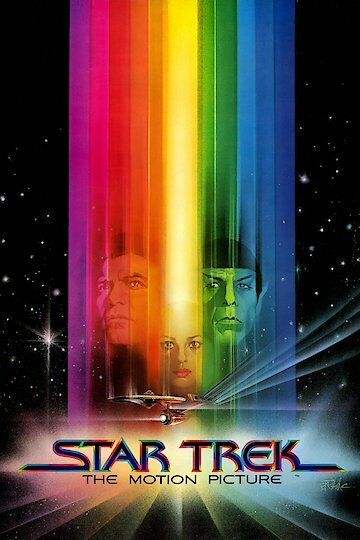 Star Trek: The Motion Picture is currently available to watch and stream, buy on demand at Amazon, Vudu, Google Play, iTunes, YouTube VOD online.